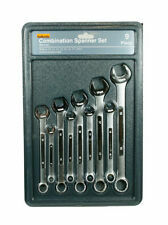 Halfords 9 piece Combination Spanner Set 2013. 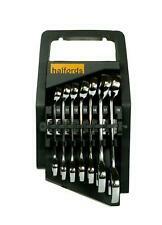 Halfords 9 piece Combination Spanner Set 2013 Extra Info. Halfords Advanced 200 Steel Piece Socket & Ratchet Spanner Set Hand Tools DIY. Halfords Essentials High Back Booster Seat Group 2-3 / 15-36kg / 4-12 Years. Should a Halfords Advanced Professional Hand Tool fail whilst being used for the purpose and in the manner for which it was designed, it will be inspected and replaced. Halfords Advanced 200 Steel Piece Socket & Ratchet Spanner Set Hand Tools DIY. Should a Halfords Advanced Hand Tool fail whilst being used for the purpose and in the manner for which it was designed, it will be inspected and replaced. Should a Halfords Advanced Hand Tool fail whilst being used for the purpose and in the manner for which it was designed, it will be inspected and replaced. Halfords Advanced 200 Steel Piece Socket & Ratchet Spanner Set Hand Tools DIY. Halfords 3 piece Folding Hex Key Set. Halfords Essentials High Back Booster Seat Group 2-3 / 15-36kg / 4-12 Years. Range: Halfords. Halfords 25 Piece Combination Spanner Set. Halfords 25 Piece Combination Spanner Set Extra Info. Halfords Advanced 200 Steel Piece Socket & Ratchet Spanner Set Hand Tools DIY. Halfords Essentials High Back Booster Seat Group 2-3 / 15-36kg / 4-12 Years. Halfords Advanced Modular Tray Set - 8pc Offset Spanner Set. Halfords Advanced Modular Tray Set - 8pc Offset Spanner Set Extra Info. Halfords Advanced 200 Steel Piece Socket & Ratchet Spanner Set Hand Tools DIY. The set comprises of. All unused my myself. Should a Halfords Advanced Professional Hand Tool fail whilst being used for the purpose and in the manner for which it was designed, it will be inspected and replaced. Halfords Professional 7 piece Stubby Spanners Set. Halfords 25 Piece Combination Spanner Set Extra Info. Jeu de 25 clés mixtes Halfords Extra Info. HALFORDS 25 PIEZA COMBINACIÓN MÉTRICA. Halfords Set di chiavi combinate da 25 pezzi Informazioni extra. Halfords Metric Combination Spanner Set Kit 9 Piece 8mm - 19mm . Condition is New. Dispatched with Royal Mail 2nd Class recorded and to sign for. ANY QUESTIONS JUST ASK. COLLECTION FROM BRADFORD WEST YORKSHIRE IF YOU WISH TO.